Sunday’s interview with Peggy Rubin was a lot of fun, wasn’t it? 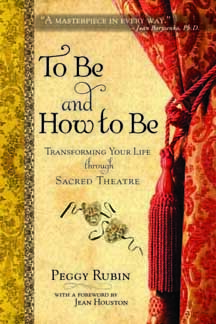 Interested in checking out her book “To Be and How to Be: Transforming Your Life through Sacred Theatre”? Well, break out your ink and quills because have I got news for you! As per usual, Quest Books thinks readers of The Magical Buffet are the coolest kids in town, and once again, they are willing to put some product on the line to prove it! In other words, it’s time for another Quest Books give away! To celebrate Peggy Rubin’s book, and her affection for Shakespeare, we’re going to have a contest of poetic proportions! You guessed it, we’re going with sonnets! 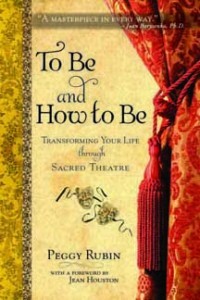 Write a sonnet for your chance to win “To Be and How to Be”! Step Two: Email your sonnet to admin@themagicalbuffet.com with the word SONNET as the subject line. Include your name and address so if you win we know where to mail your prize. Also, specify what name you would like displayed with your sonnet if it is published on The Magical Buffet. Step Three: Sit back and wait. We’ll be accepting sonnets up to August 31, 2010. So stop stalling already! Get on it! You can find more details about writing an English sonnet at eHow.